As is investigated elsewhere on this site, moving into business premises is a big step. Some businesses (for example those which require retail space) will need this type of property from the outset, while others will move into business premises as their company expands. If your business requires permanent space, you may consider buying as opposed to renting. If purchasing property is the better option for your business, you will almost certainly require a commercial mortgage. A commercial mortgage is, in many ways, similar to a private mortgage or other secured loan. The key thing to remember is that the loan is usually secured against the asset for which it used; this means that, if you don't manage to meet your repayment schedule, the premises will be at risk of repossession. This is particularly important if you are buying studio space or premises in which you will also live, as it means that your home is at risk if your business does not work out as planned. A commercial mortgage, like many other commercial loans, will normally have a minimum period of 15 years. Most lenders will not offer a mortgage for a shorter period, and you should remember that you may be subject to Early Repayment Charges (or ERCs) if you pay off the remaining balance on the mortgage early. A commercial mortgage lender will look at the credit worthiness of both the business and, probably, the directors. If a lender is considering giving commercial loans to a fledgling company, they will certainly want to make sure that the finances of the owner and directors are in good shape. Furthermore, you may be asked to provide your business plan and growth forecasts, as well as recent accounts. These will help to demonstrate to the lender that you are able to pay back the loan. It is important to consider any potential changes in your business over the period of your mortgage. Many lenders impose restrictions regarding the ways in which the premises can be used. For example, your commercial mortgage may only be granted if you agree not to sub-let the premises. This can have a significant impact in the future, so it is important that you end up with a loan agreement that fits with your long-term plans. Business loans of any type are likely to be offered with one of two interest arrangements. It is sometimes possible to negotiate a fixed rate deal on business loans; this means that the rate at which you will pay interest will be set at the beginning of the mortgage, and will remain fixed for a certain period, which may be equal to or shorter than the lifetime of your commercial mortgage. In some cases, lenders will only offer variable interest rate commercial loans. This means that the rate will fluctuate, and will be related to either the Bank of England or LIBOR base rates. The disadvantage of variable rate mortgages is that it makes financial planning difficult; however, if you go for a fixed rate deal you will lose out on any potential drop in interest rates. 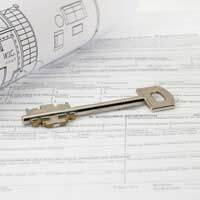 A commercial mortgage is an important agreement, as it will have a significant impact on the finances and nature of your business for a period of at least 15 years. As such, it is vitally important that you seek advice from a trusted solicitor before accepting any offer.